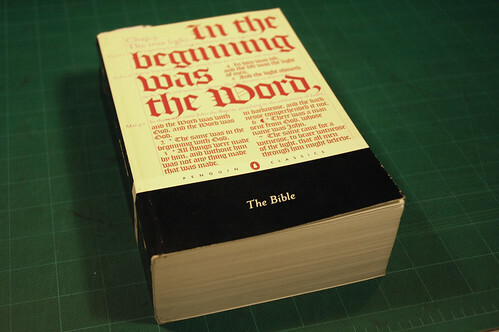 About 40 years ago, my parents purchased a giant print Bible that came separated into several volumes so that my grandmother could hold them easily. I need one like that again for a woman who needs very large print to read and needs smaller books so that she can hold them with her arthritic hands. I cannot find one online. 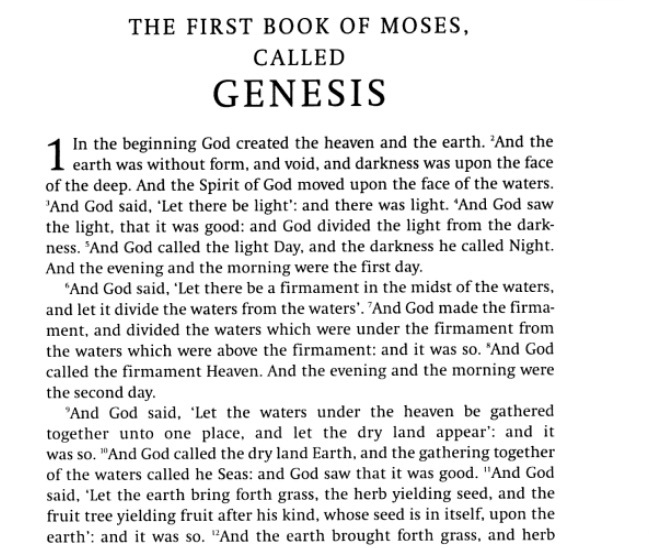 At one time, a publisher made a Bible like that. 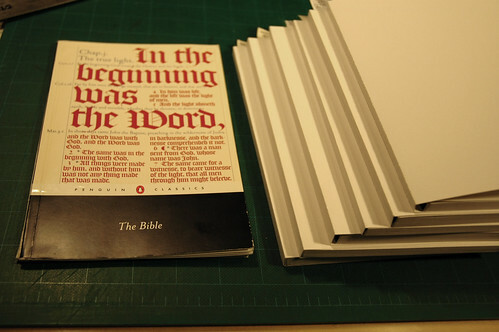 More multi-volume Bibles on the way! The NIV publisher—me!—is coming out with a 4-volume (Covenant History, Prophets, Writings, New Testament) in the Spring of 2012. Single-column, no additives (chapter/verse numbers, section headings, footnotes, etc. ), paragraph formatting. Also, whole books put back together (Samuel-Kings, Luke-Acts, etc.). 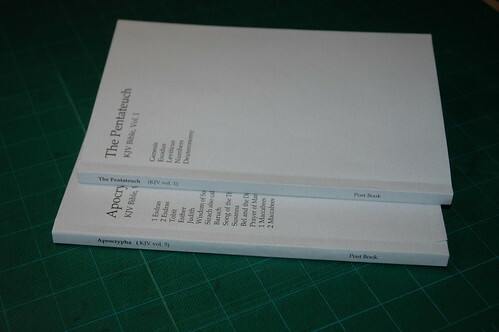 This is a great project, and nicely bound too! Did you glue it into the covers? I've been dying for something like this. The only thing that could make it better would be no versification. Fantastic idea and execution which I will be imitating shortly. "I happen to think there is an untapped market for an edition like this" I'll second that. What a good idea! Nice printing on the covers!